Primary school children are being given the chance to wear down-sized versions of the nurse's uniform in a bid to challenge gender stereotypes of the profession. NHS Grampian senior nurse manager Colin McNulty came up with the idea to counter the image of nurses projected by gender-biased dressing-up costumes. The first uniform was made and resources created for schools with the support of an NHS supplier. Mr McNulty said attitudes and ideas about nursing are formed as early as primary school and he hoped his project would challenge the common stereotype. ‘If you look at a typical nurse costume for a child, the uniform often comes with a cape and hat, even though these haven’t been standard uniform for decades,' he said. 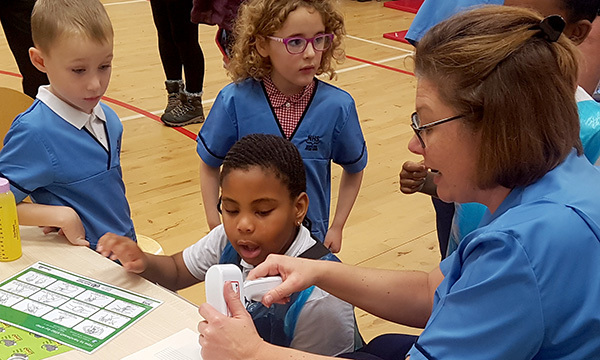 The campaign was launched at Duddingston Primary School, Edinburgh, where children were able to use nursing equipment and take part in simulations. It will be introduced in schools in Lothian and Grampian to encourage boys as well as girls to see healthcare as a natural career choice.